Product #338 | SKU 8-011-0002 | 0.0 (no ratings yet) Thanks for your rating! 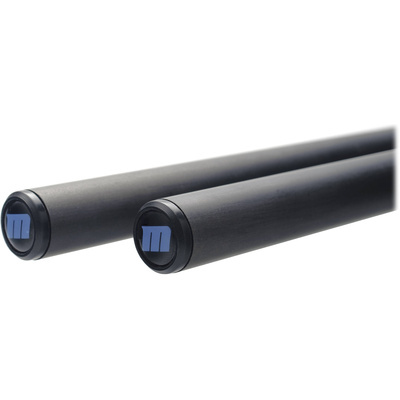 The 15 mm Carbon Fibre Rods (18", Pair) are designed specifically for Redrock Micro 's wide variety of support systems. The rods are 15 mm in size, making them ideal for attaching a mattebox, follow focus, and much more. The carbon fibre netts a total weight reduction of 66% when compared to stainless steel, making the unit incredibly light. Carbon fibre is not only extremely light, but also has a rigidity that exceeds titanium, making it extremely sturdy. Redrock carbon fibre rods are precision crafted 15 mm support rods. Can be used with a wide variety of accessories, including follow focus and matteboxes.